(VEN) - 2017 is forecast to be a flourishing year for footwear exports as order shortages have gradually been improved. 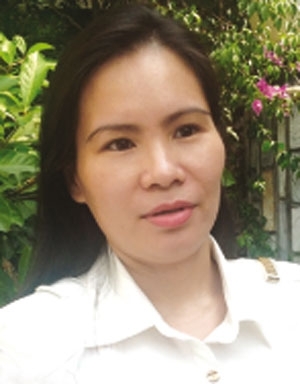 Vietnam Leather, Footwear and Handbag Association Secretary General Phan Thi Thanh Xuan talked about the issue in an interview with Vietnam Economic News’ Hai Linh. Orders from the EU market have fallen sharply since 2016. How has the decline affected the leather and footwear sector’s growth? Orders from the EU market have declined sharply since the beginning of 2016, leading to order shortages in some domestic footwear manufacturers. In particular, several large orders with simply processing have been moved to Myanmar and Bangladesh. Political instability, especially the UK votes to leave the EU has made slow consumption in the EU market. In addition, Vietnam’s minimum wage continues to rise with an expected increase of around 7.4 percent in 2017. Therefore, importers have to move their orders to other countries with cheaper labor costs. The situation has pulled down growth of the leather and footwear sector with this year’s expected increase of eight percent instead of 10 percent. In terms of markets, the US remains Vietnam’s largest leather and footwear importer, followed by the EU. How do you assess footwear exports in 2017? A reduction in orders has mainly come from the EU, while other markets have recorded stable growth. In particular, footwear exports to the US are expected to strongly increase this year. Moreover, order shortages have taken place mostly in small and medium-sized enterprises. Footwear exports are expected to be thriving in 2017 thanks to the effect of free trade agreements, including the Vietnam-Eurasian Economic Union Free Trade Agreement. It will offer more opportunities for Vietnam’s footwear exports. The US will still be the biggest market for Vietnam’s leather and footwear sector even when the new US government would not approve the Trans-Pacific Partnership. 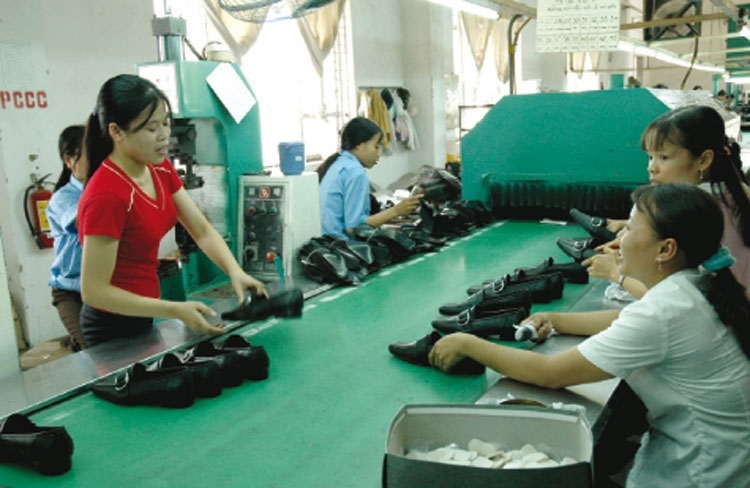 Vietnam’s footwear exports to the US have reached annual growth of 20 percent in recent years. In addition, the EU-Vietnam Free Trade Agreement expected to take effect in early 2018 will also help Vietnam attract foreign investment and receive more orders, while creating a driving force for domestic businesses to improve production capacity. Could you tell about footwear export opportunities to Russia? Export turnover of Vietnam’s leather and footwear products to Russia remains small. Therefore, the effect of the Vietnam-Eurasian Economic Union Free Trade Agreement is expected to help Vietnam’s footwear directly enter the Russian market as well as Belarus and Kazakhstan. Russia used to import large quantities of high-end shoes from Western Europe, but is subject to economic sanctions from those countries. Therefore, this is an opportunity for Vietnamese shoes to enter deeply the Russian market. Russia is regarded as a very attractive market which ranks third in the world for footwear consumption. However, complex payments not according to international practices and different language are major barriers for Vietnam. To overcome difficulties, Vietnamese businesses should strengthen trade promotion activities in order to better understand distribution systems, business practices and consumer tastes in Russia. The Vietnam Leather, Footwear and Handbag Association should also regularly provide information and organize seminars to promote links between the two business communities. The footwear export markets will have many fluctuations in 2017. Therefore, domestic businesses must closely follow market developments and fully collect information in order to timely give out appropriate strategies. They should also focus on improving internal strengths by investing in training of human resources and improving management systems in order to save costs and reduce delivery time. Small and medium-sized enterprises should link together to improve production capacity in order to meet large quantity orders. In addition to further promoting footwear exports to the US, Vietnam should also pay great attention to Russia and other countries in the Eurasian Economic Union. Domestic businesses need to pour investment capital into the application of new technologies such as 4D design in order to enhance production capacity, while conducting research and producing environmentally friendly materials to replace traditional ones.